The Quality should be always the first, World-brand always are from long-term good service and good quality. HOW WE MAKE THE MACHINE? The EPS molding machine should be processed from A to Z carefully, Every process of making the eps machinery should not be deleted. Welding should be made by professional people. 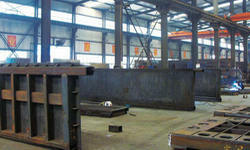 All welding are using CO2 shielded welding; it is base of polystyrene molding machine. 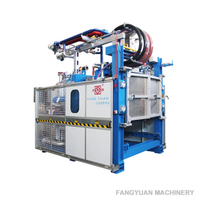 The welding parts of the Styrofoam moulding machineshould be heat to 650 degree with oven, then cooling down in nature atmosphere to normal temperature, this process will release the welding pressure , the welding parts. 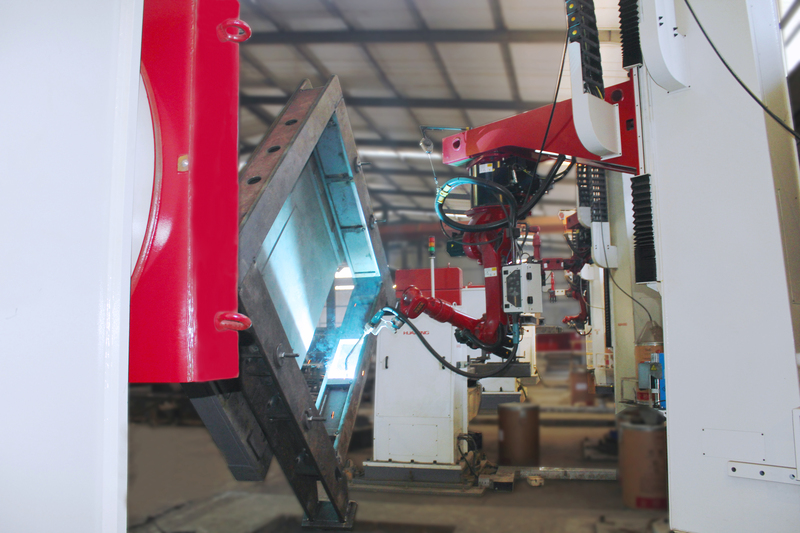 Considering non-standard shape and big parts of the EPS molding machine, It is not possible to clear rust by hand. 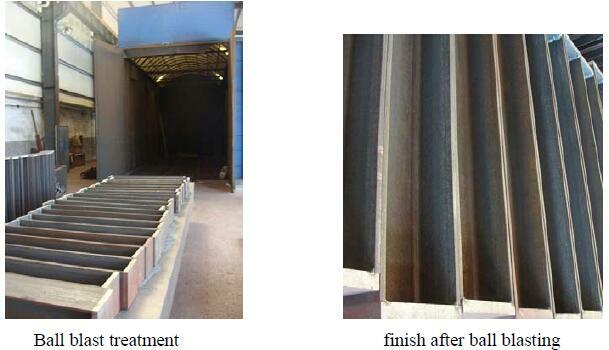 Therefore, ball blasting treatment is very necessary, After treatment, The first anti-rust painting are processed. All automatic shape moulding machineand parts will be painted anti-rust painting after heat treatment , Then the parts of the polystyrene machinery will be sent for machining. All main parts of the shape moulding machineare machining by Fangyuan, The all accurate parts are processed by CNC tool machine. 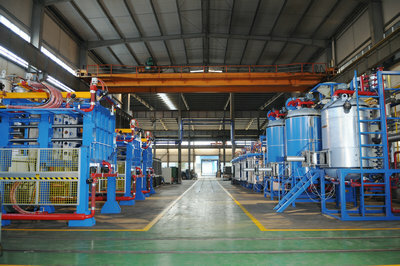 which 100% control the quality of machine. 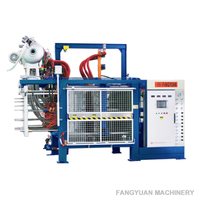 We use vertical lather machine to ensure the vertical limb of main shafts for pre-expander. We use CNC tool machine to ensure the parallelism of 4 guide rod for shape molding machine, the movable plate can be pushed by hand (only 5-10 bar). 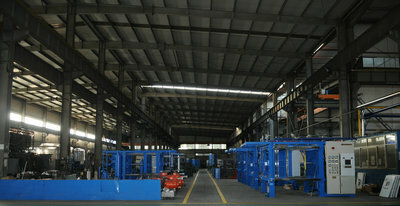 We have pre-expander assembly line, block line, shape molding line. Which supply all over worlds. 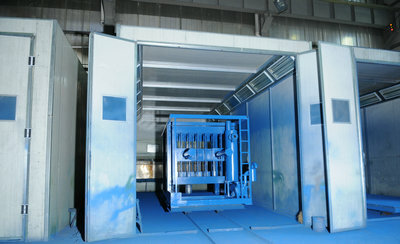 After assembly , the Styrofoam molding machine will be sent to one special painting room for double painting. The standard color is blue and grey as attachment. 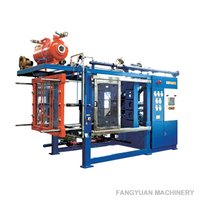 Test is final inspection, It is most important process for all polystyrene moulding machinery supplier, Fangyuan set up a special testing workshop , The program, pressure, leakage will be tested for all machine in advance. 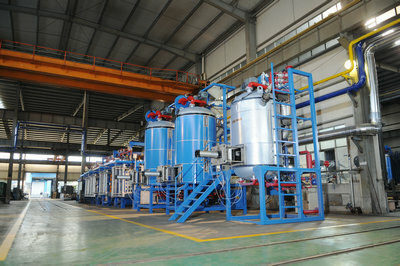 The final production test also are done in Fangyuan before delivery. 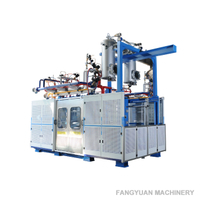 Even for shape molding machine, All block work for 3 blocks, which ensure non-steam leakage and final inspection for all valves and program. 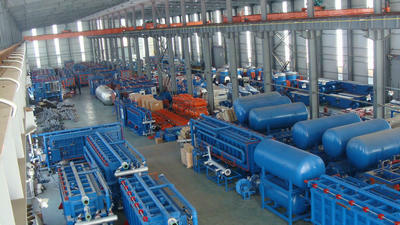 1,re-check the surface of machine and complete spare parts. 2, Re-check the document ,contract, shipping advice are same. 3, mark shipping information for delivery. 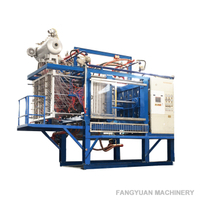 Fangyuan Polystyrene Machinery try to complete every process in perfect way, As we know, you have the right to require the best machine from Fangyuan. Anyway small mistake should not be stand by our clients. 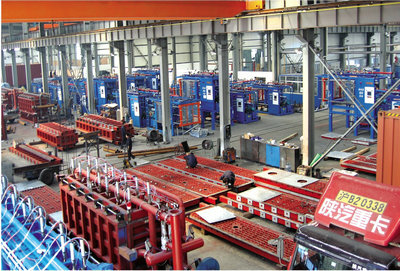 J, Installation and commissioning: Fang Yuan machines have covered all over domestic market, also has exported to more than 103 countries. 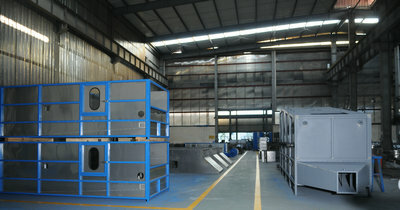 We always focus on improving the technology &quality of EPS shape moulding machine.